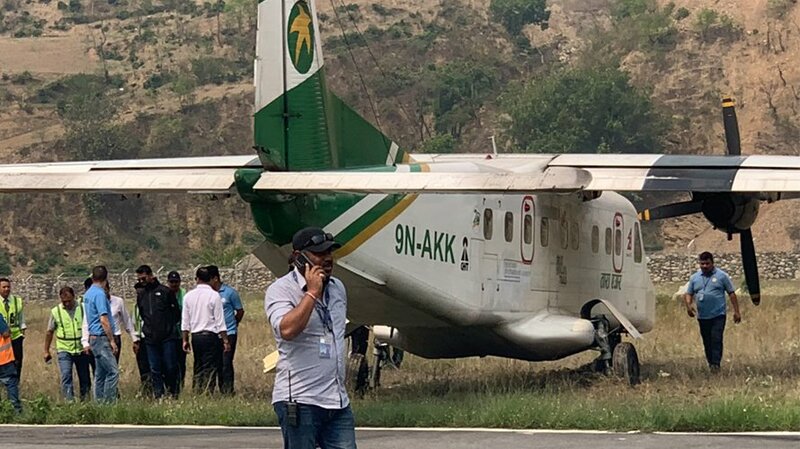 At least three people have died and two others are injured after a Summit Air plane taking off from Lukla Airport rammed into a Manang Air chopper parked on a helipad near the airport. 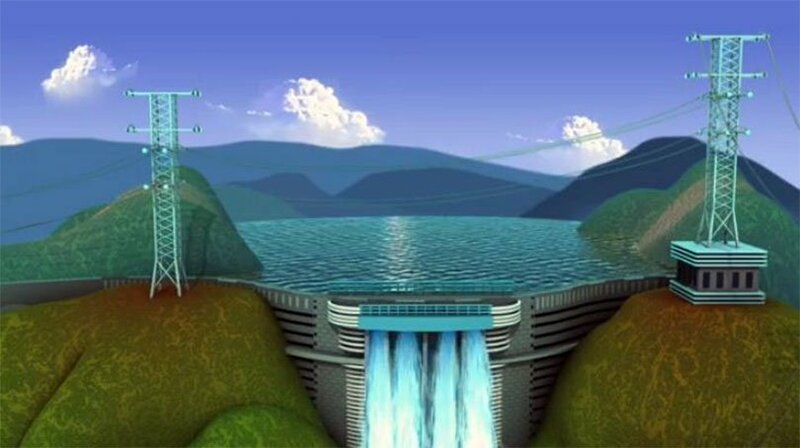 According to Tribhuvan International Airport spokesperson Pratap Babu Tiwari, the deceased are: Summit Air co-pilot S Dhungana and ASI Ram Bahadur Khadka. 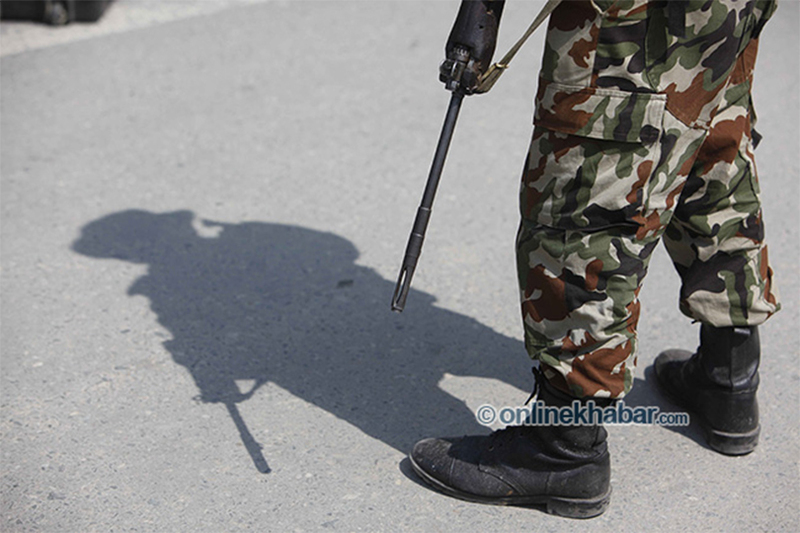 ASI Rudra Bahadur Shrestha, who was rushed to Kathmandu after the incident, has also died, police confirmed. The injured are: Summit Air pilot RB Rokaya, a Manang Air pilot (yet to be identified). Lukla Airport, considered one of the ‘most dangerous’ airstrips in the world, sees an influx of passengers during the spring season when trekkers from around the globe come to the area to scale mountains such as Everest. Lukla, also known as the ‘Gateway to Everest’ has recorded several air crashes in the past few years. 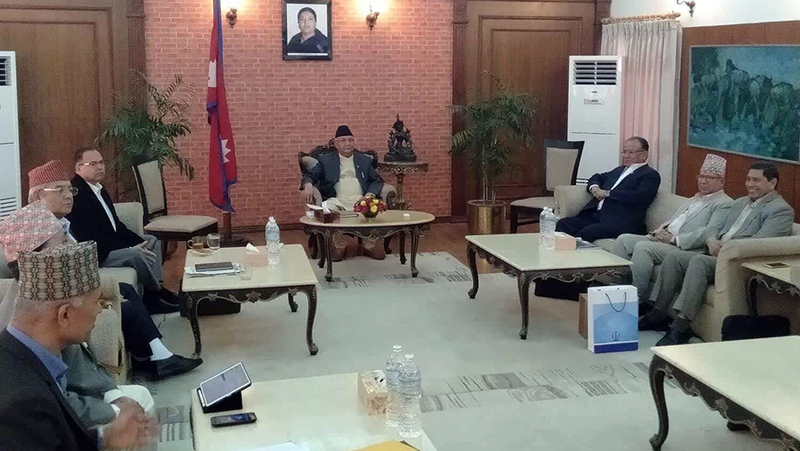 According to authorities, the Summit Air plane was returning to Ramechhap Airport after an early morning flight. The incident took place at around 9:30 am NST. “We would have had more causalities if the plane were carrying passengers,” an official said. 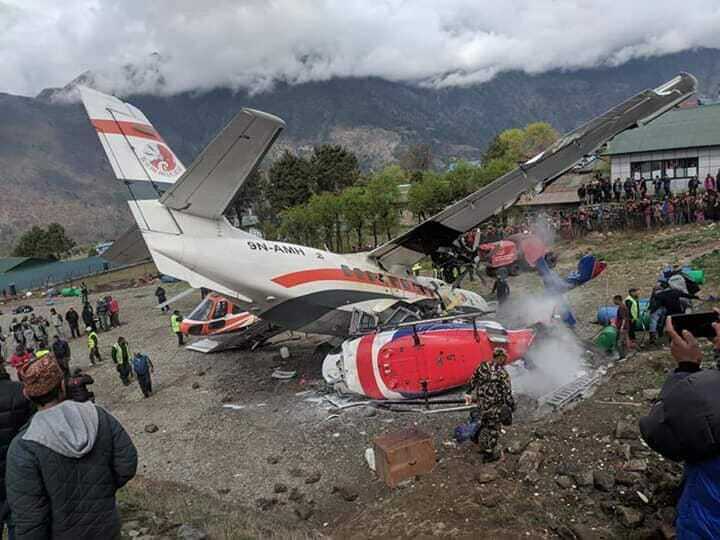 On May 27, 2017, another Summit Air plane had crashed in Lukla killing both the pilot and the co-pilot while another crew member survived with non-life threatening injuries.